In an effort to equalize the heat provided to motorists on the east side of the island, the St. Christopher police force upped its efforts to remove even more tint from vehicle windows. 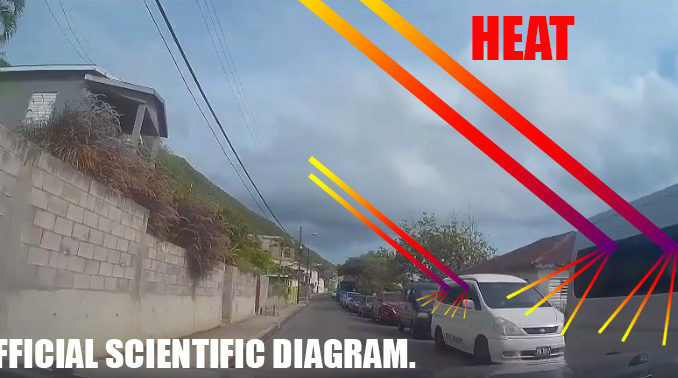 “The increase in tint usage on this side of the island has caused an unfair amount of the sun’s heat to fall on the other side of the island, this has led to increases in air conditioning costs for our citizens” said unofficial police officials. The resulting crackdown has helped to equalize the heat in an already blistering start to summer. We hope that future efforts will help spread the heat around and decrease its effects on us all.